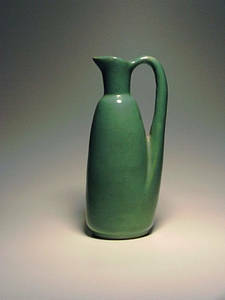 Description: This shape has been made by several potteries. I beleive this is Zanesville Stoneware J-6. About 8 inches tall. A few thin spots in the glaze.